The Avengers and X-Men have learned that the all-powerful embodiment of both death and rebirth known as the Phoenix Force is on a crash course for Earth…and it needs a new host to unleash its immeasurable power. 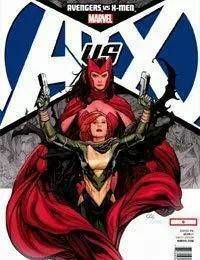 But what is the shocking decision tied to the Phoenixs return that will pit the Avengers against the X-Men? And when good friends become bitter enemies, what does this mean for the future of the Marvel Universe?